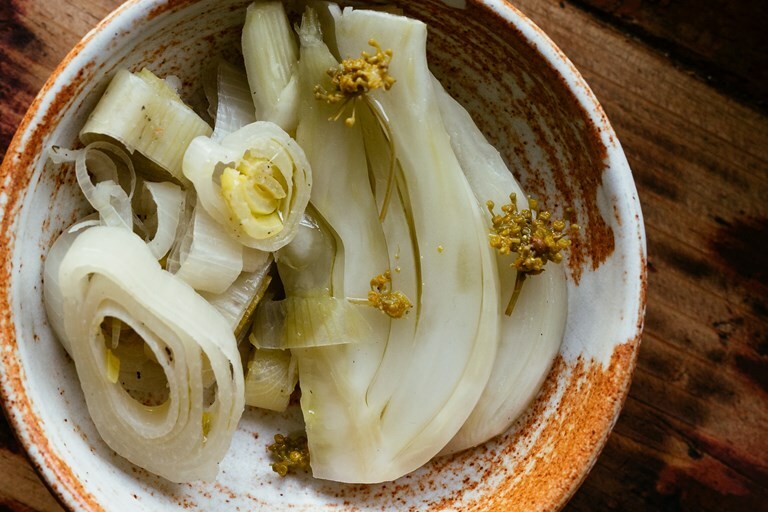 This fermented fennel recipe makes an appearance in an array of dishes at Sorella. It's delightfully crisp and tangy as any good ferment should be – keep tasting during the fermentation process and place in the fridge once it reaches the level of sourness that you like. The fermentation liquid from the fennel is used in thisfennel sausage ragù recipe, so don't throw away the liquid once you've eaten all the fennel. This recipe was developed by Dean alongside Robin Gill at Sorella, where Dean is head chef.